Save time, money, and stress! Buy Kwik-Covers today to place over counters and tables at your next event. Available in a variety of colors and patterns, these covers make set-up and cleanup both convenient and easy. Say goodbye to hours spent washing tablecloths and keeping them wrinkle-free. Kwik-Covers stay tight on the table because they feature elastic edging sewn into the seam, making installation a breeze. Choose a look that complements your event to add a decorative touch to your table. Applications for use include backyard parties, arts and crafts events, tailgates, banquets, county fairs, carnivals, picnics, concession stands, and more. Users can feel confident that their cover will not fly up or become loose during important occasions. 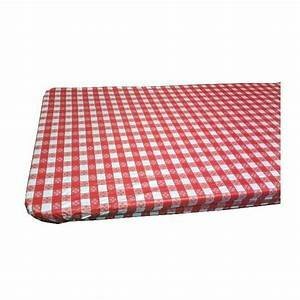 These disposable table covers also protect tables and counters from spills and other accidents. Simply toss them in the trash once your event is over, or wipe them down, fold them up, and store them for future use. Ditch scissors, tape, staples, and other accessories needed to hold a tablecloth down. Instead, use that time to entertain guests, make sales, and socialize with friends.